You are your brain. If your brain is unhealthy than you will have little energy and will likely already be on the path to serious illnesses. On the other hand, if your brain is healthy you will have more energy, increased memory, and motivation. Many nutrients will increase the healthiness of your brain, but the following are the best five nutrients. If you want your brain at top capacity, then Omega-3 fatty acids are vital. Research shows that a certain Omega-3 fatty acid, named docosahexaenoic acid (DHA), can improve cognitive functions that tend to lessen as we age! Omega-3 rich foods include fish like anchovies, salmon, and sardines. The ideal average intake is 2-3 platefuls of fatty fish over a 7-day period. Foods like walnuts, flax, hemp seeds, and chia are also excellent sources of Omega-3. Foods containing antioxidant minerals and vitamins protect against damage to the brain. They do this by preventing free radicals. Free radicals are high reactive molecules that are missing an electron. As a result, free radicals seek completion. They do this by joining with other molecules. These free radicals can damage cells, especially brain cells, when they attach to a cell’s molecules causing inflammation. The antioxidants prevent free radicals from doing damage by connecting with them, so the free radical has all the electrons it needs. When the free radicals are whole, they will not seek to attach to cell molecules. Plan your diet by picking more fruits and vegetables, which are excellent sources of antioxidant vitamins C and A. For getting the antioxidants selenium and vitamin E, select seeds and nuts such as Brazil nuts and almonds. A lack of Vitamin B12 and folate can raise levels of homocysteine in the blood, which is an amino acid that is connected to cognitive damage. To obtain folate, look to your dark green vegetables, such as asparagus, leafy greens, broccoli, avocado and Brussels sprouts. Both folate and Vitamin B12 can be obtained from protein, but different sources. The protein for folate comes from plant-based foods such as lentils, peas, and beans; while Vitamin B12 comes from animal or meat protein such as sardines, salmon, beef, and tuna. Everyone knows water is essential. But many people still do not drink enough. About 75% of brain is made up of water. When someone doesn’t get enough water, i.e. when dehydration occurs, minor cerebral injury can take place. Drinking more water seems easy enough. However, often this is easier said than done because we tend to lose our sense of thirst the older we get. Get in the habit of drink a glass before every snack and meal, set reminder alarms on your phone to drink water, and have a poured glass of water readily available as a visual cue to drink. Additionally, foods rich in water, like lettuce, watermelon, celery, pineapple, cucumber, and others deliver water and other essential nutrients for the brain. Phytonutrients act as anti-inflammatory and antioxidants agents in the body. A type of phytonutrients, known as polyphenols, may activate neuroprotective pathways and raise spatial memory performance. In other words, polyphenol can increase neural activity in the brain allowing for better thought processes and memory storage. Surprisingly, modest portions of dark chocolate and red wine help increase brain health because these foods contain very high levels of polyphenols. Other sources of polyphenols are berries, red grapes, citrus fruits, and teas. Getting these nutrients will help your brain function properly, thus allowing you to function properly. If you have a healthy diet and are partaking of many of these nutrients regularly and are still feeling as if your brain is still not healthy, try taking supplements. Supplements will help your body not only get the nutrients you need, but also provide elements that will increase your bodies absorption of the nutrients you are focusing on. To learn more, check out (article about what nutrients help with absorption). Hopefully, knowing what drinking soda can do to the body will help people lower their intake of soda and drastically improve their health. The most obvious of all the effects of soda is weight gain from sugar. Soda typically contains a very large amount of sugar which, unfortunately, can be consumed in a very short time span. And we all know that obesity and weight gain can lead to a number of problems, such as early death and cancer. Diet sodas are often considered safe and are consumed widely. However, most people don’t know that diet sodas contain mold inhibitors. They are compounds which serve as preservatives such as sodium or potassium benzoate. These can be very harmful as they may damage the DNA. Diet sodas often contain aspartame, which is the worst alternative sugar on the market. It has been linking with my health issues, including Alzheimer’s. A study conducted by the University of Minnesota found, an average intake of one soda can per day often indicates a 36% raise in an individual’s risk of getting type 2 diabetes and metabolic syndrome. The term metabolic syndrome represents a collection of diseases which include increased levels of glucose or blood sugar levels, high blood pressure, and raised cholesterol. These conditions increase the risk for stroke, heart attack, and diabetes. The chicken bone experiment is often used to show high school students the negative effects of drinking soda. In this experiment a chicken bone is left for several days in a bowl of soda. Observers can see the changes as they are occurring to the chicken bone. The chicken bone becomes weaker as time passes. And it is medically proven that soda can make the bones brittle and weak. This experiment demonstrates the effects of soda on bones, especially teeth. The consumption of soda, therefore, causes cavities and tooth decay. One of the most unconsidered effects of soda is how much money is spent on it. A typical person consumes 216 liters of soda per year. If the soda was purchased only at a vending machine, it would cost them about $550 per year. Alternatively, if this same amount was put into a retirement account at a 7% annual interest rate for 30 years it would generate $60,000! It certainly sounds as if the little sweet treat is costing you a comfy retirement! Giving up on soda will not improve your health immediately, so it is helpful to partake of extra vitamins that will aid your body in its recovery. To learn more about what vitamins you need to recover from the side effect of soda, check out (whatever). The Nutrition Source. (2018). Soft Drinks and Disease. [online] Available at: https://www.hsph.harvard.edu/nutritionsource/healthy-drinks/soft-drinks-and-disease/ [Accessed 4 Dec. 2018]. Cardiovascular arrest, more commonly known as a heart attack, happens when flow of blood to the heart is congested. This blockage is an accumulation of cholesterol, fat, and other such substances. These form a panel in the coronary arteries, the arteries feeding the heart. This panel deteriorates away eventually and forms a clot. As a result, the disturbed flow of blood can destroy or damage fragments of heart muscles. A myocardial infarction, another name for heart attack, often proves to be fatal. Therefore, it is vital that if you feel like you might be having a heart attack that you call emergency medical help immediately! The main cause of a heart attack is high levels of cholesterol. Every person has cholesterol in their body, but it is a matter of whether you have high levels of bad or good cholesterol that impacts your health. High levels of bad, LDL, cholesterol raises the heart attack risk via the hardening of arteries. When the arteries harden, they get blocked, leading to a heart attack. Hypertension or the high blood pressure raises your risk for many health issues, one of which is the risk of a heart attack. High blood pressure can come from the arties being clogged by cholesterol, fat, and other elements that force the blood through a narrower pathway. The heart must work harder to get the blood to pump to it, leading to an overworked heart. An overworked heart has a greater risk of a heart attack. Heart attack is very common in people with higher blood pressure and who don’t properly treat it. Having diabetes increases the risk for heart attack. Diabetes is linked by research to heart attack, because both health issues are results of many of the same health factors. Diabetes is quite prevalent in people struggling with obesity and unhealthy eating habits. Heart attacks are prevalent in a similar set of people as well. This also means that both these issues can be prevented by implementing the same dietary and lifestyle changes. These changes primarily revolve around eating the right food. Food should be highly nutritious. This means your diet should consist of vegetables, fruit, organic meats, and other high vitamin foods. Surgeons who deal in cardiovascular arrests have observed that heart arrhythmias are often precursors to heart attacks and signify many other heart diseases. In heart arrhythmia, the heart doesn’t have a steady rhythm. The beating may be unbalanced, meaning they can be faster or slower than normal. The speed can even fluctuate. This influences the amount of blood being pumped to the heart. This unsteady rhythm can tire out the heart, making it more prone to heart attacks. In congestive heart failure is a condition in which the pumping power of the heart muscles is weak. This is due to a build up of fluids around the heart. Unlike high blood pressure which tends to affect the blood traveling to the heart more, congestive heart failure tends to be focused on the heart’s ability to send blood to the body. Being aware of some of the main causes of a heart attack can help you take the necessary steps to prevent it. But if you suspect you have any of these issues, it is best to consult a doctor about the best way to combat these issues rather than self-medicating. Although you are pretty safe to add more vitamins into your diet. Vitamins a necessary for the maintenance and development of all aspects of the body. To learn more about what vitamins specially aid in heart attack prevention, check out (whatever). nhs.uk. (2018). Heart attack. [online] Available at: https://www.nhs.uk/conditions/heart-attack/ [Accessed 4 Dec. 2018]. Our immune system needs extra help supporting and sustaining our health and wellbeing during the fall and winter months. There are many ways for ensuring an active immune system, but the most important way to keep your immune system at peak functionality is through the foods you are eating. Vitamin A is a fat-soluble vitamin. Two common forms of Vitamin A are retinol and carotenoids. These nutrients are transformed into active nutrients when they reach the digestive system. In other words, the digestive system triggers these nutrients into an active state, so the body can put them to use. Most common of these carotenoids is the Beta carotene. It is appreciated for its significance in our immune system. It also aids in controlling the cellular reactions in our immune system and helps in the development and growth of the cells within the immune system. It is a water-soluble vitamin which acts as an antioxidant and supports the immune system against possible oxidative damage. It functions by neutralizing the free radicals before they get to harm the immune system usually through inflammation. This vitamin helps the immune system to perform vital roles, such as production of white blood cell and maintaining the optimal functioning of other cells within the immune system. These include a kind of flavonoid known as anthocyanin. It has strong antioxidant properties which help in boosting the immune system. In particular, flavonoids play a crucial role in immune defense system of the respiratory tract, thus protecting you from colds and other winter illnesses. 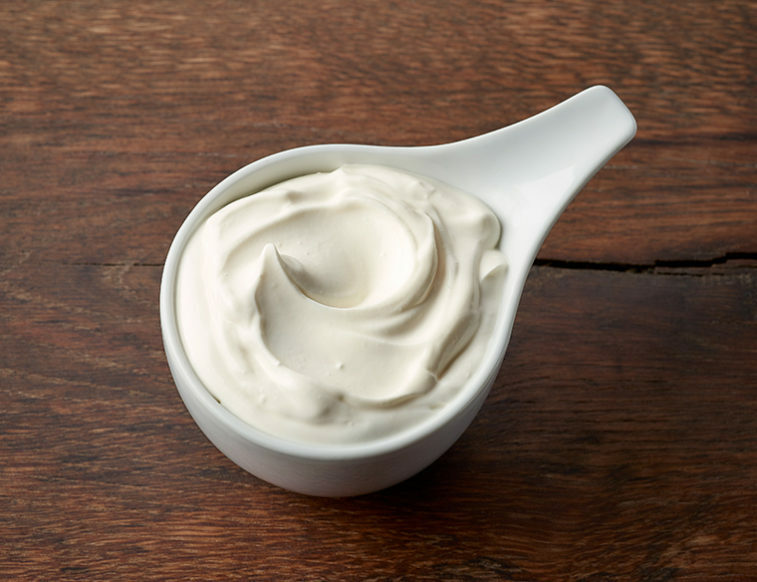 Yogurt contains many probiotics that aid in maintaining the functions of the immune system. When planning a diet plan, search for products which are labeled with a seal from the National Yogurt Association saying, “Live & Active Cultures”. This seal indicates that the yogurt contains 2 particular types of good bacteria at a minimum. Soluble fiber, which helps fight inflammation, is readily found in apples, citrus fruits, carrots, oats and beans. Soluble fibers help your body digest food slower rather than be overwhelmed by nutrients. Often the excess nutrients will be excreted rather than stored. Soluble fat will help your body manage and use significantly more nutrients. Keeping your immune system running well during fall and winter can be challenging but including these foods in your diet will help you be healthy throughout that time of year. If you need extra help, many of the nutrients discussed above are provided in many supplements. These supplements would help increase your body’s absorption of these nutrients to add extra strength during the colder months. Unitypoint.org. (2018). 5 Easy Ways to Boost Your Immune System. [online] Available at: https://www.unitypoint.org/livewell/article.aspx?id=7ed35a9b-7295-4619-a0c1-f9e729cbb11d [Accessed 4 Dec. 2018]. The liver performs many essential functions in our body. Primary among these, it produces cholesterol, proteins, carbohydrates, and minerals. Coffee is a very beneficial beverage which aids the health of liver. Research indicates that drinking coffee defends the liver from harmful substances. It can be beneficial even for those individuals who may already have liver problems. Studies have shown that coffee lowers the risk of permanent liver damage, medically known as cirrhosis, in individuals who have the chronic liver disease. Coffee also reduces the risk for development of liver cancer. Additionally, coffee is connected with a decrease in the risk of death for individuals with chronic liver disease. The ideal outcome is observed in people who drink at least 3 cups of coffee per day. Grapefruit includes many antioxidants which protect the liver. The 2 major antioxidants present in the grapefruit are naringin and naringenin. Research indicates that both of these help in protecting the liver. These effects of antioxidants directly affect the liver by reducing the chance of developing hepatic fibrosis which is a harmful condition that can lead to disproportionate connective tissue build up in liver. This condition normally develops as a result of chronic inflammation in the liver. Prickly pear is medically known as Opuntia ficus-indica. Commonly recognized as type of cactus, this fruit is probably more famous as a result of being in the famous song The Bare Necessities in Disney’s The Jungle Book. Prickly pears have been used widely in traditional medicine as a treatment for fatigue, ulcers, liver disease, and wounds. A research was conducted on a pool of 55 volunteers in 2004 to determine the benefits of the Prickly Pear. The volunteers experienced less conditions of dry mouth, nausea, and lack of appetite. And if they consumed the extract before drinking alcohol then they were half as likely to experience a severe hangover. Research indicates that beetroot juice decreases inflammation and oxidative damage in the liver. It also increases the naturally occurring detoxification enzymes. Many other favorable effects of the beetroot juice have been observed many studies. More research is going on and more benefits of beetroot juice for liver health are being discovered every day. Olive oil is known to be a healthy source of fat and it has many health benefits, especially for metabolic processes, including the liver, and the heart. A research conducted on individuals with NAFLD showed that consumption of 1 teaspoon, which is 6.5 ml of olive oil per day, improves the liver’s fat and enzyme levels. The volunteers were also reported to have reduced fat accumulation and better flow of blood in their liver. These five foods are among the best for maintaining liver health. The is necessary for many body functions, so the health of your liver is imperative to your overall health. While focusing on the five foods listed here will help your liver, often times your liver needs more help than simply consuming these foods. This may be due to lack of nutrient absorption or already having liver damage. Either way, the nutrients found in these foods can also be found in supplements. Supplements allow for better absorption of nutrients, so you can be sure to get what you need to improve your liver health. It is essential that you include a diverse range of minerals and vitamins in your diet plan. Vitamins and minerals help maintaining and improve your body’s health and functions. However, there are certain essential nutrients which need special focus. Most of these essential nutrients are not produced by the body, so the only way your body can get them is if you consume them. If you have the desire to feel happier, look better, and live longer then you must consume larger amount of Omega 3. Many researchers claim that deficiency of Omega-3 leads to aggressive behavior patterns, depression, and instant mood swings. Oily fish like mackerel, sardines, salmon, are great reservoirs of omega 3. The American Heart Association suggests that an average adult must consume oily fish two times a week. If oily fish is not available, then other excellent sources of Omega-3 are walnuts and flaxseeds. Vitamin D helps in digestion of calcium, hence it aids in maintaining healthy bones. Deficiency of vitamin D increases the risk of inducing osteoporosis, cancer, heart diseases, and mental illnesses. Unlike many nutrients on this list, vitamin D is primarily absorbed by the body through exposure to sunlight. Medical experts suggest that we spend at least 10 minutes each day in sunlight without using the sunblock. Healthy sources of the vitamin D consist of egg yolk and oily fish. Iron deficiency is affecting 4-5 billion people worldwide. Iron is essential for the body because it aids in many metabolic processes. The major sources of iron are offal, red meat, eggs, and chicken. Other sources include dried fruit, green vegetables, and pulses. You should also reduce the intake of coffee and tea as these include polyphenols which make it problematic for the human body to absorb iron. However, taking orange juice is encouraged as it contains vitamin C which aids in absorption of iron. Vitamin B12 is a very important nutrient which is necessary for the body as it helps in maintaining a healthy nervous system and in making new red blood cells. The shortage of vitamin B12 can lead to anemia. Vitamin B12 is found in eggs, meat, and dairy products. It is not present in vegetables and fruit. So, vegetarians must ensure that they consume food which is fortified with vitamin B12 like breakfast cereals, or they should consider taking vitamin B12 supplement. A deficiency of iodine considerably influences the development of brain, especially in young children and unborn babies. Additionally, a deficiency of iodine raises the danger of stillbirth and miscarriage. Iodine deficiency is the major cause of avoidable brain damage and mental retardation throughout the globe. This condition can be improved by using iodized salt, which is easily obtainable in most regions of many countries. Foods which contain iodine are eggs, fish, seaweed milk, and seafood. As mentioned above, many of these nutrients are not created by the body, so you need to consume them in some way. For more advice on what nutrients your body needs and how to best absorb them, check out our blog! Humans evolved by consuming both plants and animals. As a result, our bodies have been conditions over millions of years of evolution to need the nutrients obtained from both sources. If we choose to restrict our diet to only one of these then we are at the risk of developing deficiency in some nutrients. Some plants are simply better sources for certain nutrients than meat and vice versa. By definition, Vegans are the individuals who have chosen to restrict their diet plan to consuming only plants and they don’t consume animal products. There are five nutrients vegetarians need monitor, so they do not become deficient in them. Creatine is a substance which is only found in food products obtained from animals. Creatine is primarily found in the muscles; however, the brain is an excellent source as well. Creatine serves as readily useable energy storage for muscle cells, thus improving endurance and strength. Vegans have smaller concentrations of this substance in the cells of muscles. Since, this substance is not present in any plant based products, vegans must get it via alternative supplements. Cholecalciferol is an essential nutrient which has various imperative functions. Rickets, which is known as bone malformation, and Osteoporosis, which is known as weak bones, are notorious side effects of deficiency of vitamin D. Food sources for vitamin D are fish, especially oily fish, and egg yolks. Some other food sources for vitamin D are cod liver oil, supplements, cereals, and milk. Heme-iron is a kind of iron which is only obtained from red meat. Heme-iron is more easily absorbed than common iron which is found in plant-based products. Those with heme-iron deficiency are more likely to become anemic. Vitamin B12 is also known as cobalamin. It is a vital substance which isn’t found in any plant based products. It is a water soluble nutrient which is involved in maintaining normal brain and nerve function, and generating red blood cells. Vegetarians have a higher risk of developing deficiency of vitamin B12, without enriched foods or supplements. Vitamin B12 is mostly available in animal products like eggs, meat, fish, and dairy products. Carnosine is an antioxidant which is present in brain and muscles. Carnosine is crucial for the function of muscles. Carnosine at high levels in the muscles is connected with the decreased fatigue of muscles and better performance. Prominent food sources are meat, milk and fish. Vegans may contain smaller amount of carnosine in their muscles compared to individuals who eat meat. Vegans must put in extra effort to get this vital nutrient. To combat deficiencies, supplements are the easiest option especially if certain foods are unavailable. To discover which supplements meet your dietary needs, check out our list of supplements. Cells, T., New Protocol for Production of Reduced-Gluten Wheat Bread and Pasta and Clinical Effect in Patients with Irritable Bowel Syndrome: A randomised, C., Loss, T. and Peroxide, S. (2018). Nutrients. [online] Mdpi.com. Available at: https://www.mdpi.com/journal/nutrients [Accessed 2 Dec. 2018]. Health.gov.au. (2018). Department of Health | Nutrients. [online] Available at: http://health.gov.au/internet/publications/publishing.nsf/Content/canteen-mgr-tr1~nutrients [Accessed 2 Dec. 2018]. Want to hear a nasty little secret about the food you are consuming? Here it is, nutrients are getting sapped from the vegetables and fruits by soil depletion. Ronald Amundson is a professor at University of California, Berkeley. He co-authored a research paper on soil depletion in 2015. He claims that we have been disrupting the balance of the nutrient cycle ever since humans started agriculture. He said that these changes take place very slowly. In fact, these changes are so slow that it can take 2-3 generations to even notice them. That is why most people are not aware of the grave situation we are in. It wouldn’t be an exaggeration to state that a simple carrot has little to no nutrition at all. This evident when today’s vegetables and fruits are compared to the vegetables and fruits which were used decades ago. They were much richer in terms of nutrition as they contained a higher amount of minerals and vitamins. The major perpetrator in this alarming trend of nutrition distribution is soil depletion. The advanced and extreme methods of agriculture have dispersed a large proportion of nutrients from the soil. Each harvest of vegetables or fruits shows a decrease in nutrient levels. Donald Davis, along with his researcher colleagues from Department of biochemistry at University of Texas at Austin, did remarkable research on this issue in 2004. They analyzed the data for the nutritional parameters available at the U.S Department of Agriculture. They studied the data for more than 43 fruits and vegetables from 1950 to 1999. What they discovered is truly worrying. They discovered a steady decline in the proportions of calcium, protein, iron, phosphorous, Vitamin C, and Vitamin B2. Donald and his fellow researchers concluded that this increasing lack of nutrients is due, in part, to soil depletion and modern agricultural methods. Donald stated that due to the efforts for breeding crops with higher yield, climate adaptability, and pest resistivity, the crops grow rapidly and bigger in size. Yet, the result a lack in the ability of the crop to absorb nutrients from the soil which does not have to nutrients to keep up with the produce’s swift growth and size. Donald claimed that many other nutrients level’s, such as magnesium, Vitamin B6, Vitamin E, and zinc, have also declined in amount in the studied fruits and vegetables. But these cannot be reported with confidence because these were not studied before 1950 and their data is not available to establish a scientific investigation. So, what can we do? Or even better, what should we do? The key to a healthy production of fruits and vegetables is availability of healthy soil. Establishing a rotating cycle for field use to allow fields time of inactivity to allow for time for nutrients to be restored is an effective measure. Additionally, utilizing organic growing methods instead of fertilizers and pesticides is beneficial for the health of soil. If you desire to get the most nutritious vegetables and fruits then you should regularly buy from the local organic farmers. Organicconsumers.org. (2018). Organic Consumers Association | Campaigning for health, justice, sustainability, peace, and democracy. [online] Available at: https://www.organicconsumers.org/ [Accessed 2 Dec. 2018]. Omafra.gov.on.ca. (2018). Soil Erosion  Causes and Effects. [online] Available at: http://www.omafra.gov.on.ca/english/engineer/facts/12-053.htm [Accessed 2 Dec. 2018]. What Eating Gelatin Does for Your Joints? Gelatin may not be the first thing that comes to one’s mind when thinking of a healthy food. However, it is not just a hospital staple or a childhood snack. Gelatin is a protein manufactured by boiling the cartilage, animal bones, and skin for extracting collagen. Collagen is fibrous protein which connects bones, muscles, and skin in mammals and some other animals. Collagen when further processed, becomes a colorless and flavorless mass which is then named gelatin. When this gelatin cools it becomes a jelly like mass. Gelatin liquefies in hot water, unlike collagen, and the texture of gelatin makes collagen useful for being utilized in soups, sauces, and desserts. Most individuals take collagen supplements to help improve the collagen in joints, thinking the collagen in gelatin will go directly to the joints. But it unfortunately doesn’t work like that. Collagen within the gelatin is dissolved when eaten. It can’t travel to the joints directly. Gelatin is made up of several amino acids. These are compounds which combine with each other to form proteins. Amino acids are vital for providing energy and making sure many parts and functions of the body are working properly including bones and joints. Characteristically, amino acids found in abundance in gelatin are proline, valine, and glycine. It also includes the arginine, alanine, and lysine. Valine is a very important amino acid which is not produced by human body, meaning it should be obtained from intake of food. Collagen present in the gelatin may reduce joint pain connected to inflammation. Some studies at the U.S. National Library of Medicine show that gelatin may improve joint function and reduce pain in individuals suffering from osteoarthritis. Lysine helps in strengthening the bones and is found in gelatin. Lysine aids the body in absorption of calcium. Calcium is in turn required for preventing bone loss and keeping bones strong. The human body is not able to manufacture lysine. It is vital that an individual gets appropriate amount of lysine by food intake. Gelatin can be manufactured at one’s own convenience by roasting the leftover bones of beef and poultry for a long time, ideally several hours. When this broth cools, you will be able to see a gel like mass on the exterior, this is known as the collagen. It is easy to add gelatin to various dishes, including stews, soups, and broths. Gelatin may also be utilized for making mousse, sauces, and smoothies. The Spruce Eats. (2018). Where Does Gelatin Come From?. [online] Available at: https://www.thespruceeats.com/what-is-gelatin-1328467 [Accessed 4 Dec. 2018]. Most people don’t like to talk about it, but having a gastrointestinal problem is common. Gastroesophageal Reflux Disease (GERD), Chronic inflation in stomach, Hemorrhoids, Stomach pain, Diverticulitis, Gallstones, Celiac Disease, Crohn’s Disease, Ulcerative Colitis, Ulcer Irritable Bowel Syndrome etc. are some of the problems which many people face today. Using natural remedies are the best remedy to combat these digestive problems. The organic treatment ensures a healthy recovery and minimum side effects. Colostrum. Ever heard of it? It is really nature’s first food…provided by all female mammals during the first few days after birth. It is very important promoting the healthy development and function of the immune system at birth. You can sometimes find colostrum via a raw dairy if you have access, but most of us do not have such access. Patients can help themselves by taking colostrum for leaky gut. Chronic conditions are best treated first with a three-day bovine colostrum fast — taking colostrum four times a day to allow the gut time to heal before adding food and beverages other than water. Colostrum promotes healthy intestinal flora and the normal functioning of the entire Gastrointestinal tract. Propolis is a resin-like material made by bees from the buds of poplar and cone-bearing trees. Propolis is rarely available in its pure form. It is usually obtained from beehives and contains bee products. Bees use propolis to build their hives. Early research suggests that taking a 30% propolis extract for 5 days can cure giardiasis in more people than the commonly used drug tinidazole. It’s important to eat only organically grown mushroom extract because they absorb and concentrate whatever they grow in — good OR bad. This is what gives mushrooms their potency. Mushrooms are known to concentrate heavy metals, as well as air and water pollutants, so healthy growing conditions is a critical factor. One dietary analysis found that mushroom extract consumption was associated with better diet quality and improved nutrition. Mushroom extract is also proven to improve immune system function. Mushroom extract is beneficial in weight management. One study found that substituting red meat with white button mushroom extract can help enhance weight loss. Obese participants with a mean age of just over 48 years consumed approximately one cup of mushroom extract per day in place of meat. The control group ate a standard diet without mushrooms. At the end of the 12-month trial, the intervention group had lost an average of 3.6 percent of their starting weight, or about seven pounds. They also showed improvements in body composition, such as reduced waist circumference, and ability to maintain their weight loss, compared to the control group. The problems with digestive system are quite prevalent today. However with use of Colostrum, Bee Propolis Concentrate and Mushroom extract we can easily treat the common digestive diseases. These are readily available from nature and can be obtained easily. These are proven remedies with little to no side effects and ensure a safe and sound recovery. EverydayHealth.com. (2018). 9 Common Digestive Conditions From Top to Bottom. [online] Available at: https://www.everydayhealth.com/digestive-health/common-digestive-conditions-from-top-bottom/ [Accessed 28 Nov. 2018]. Cole, D. (2018). Everything You Need To Know About Colostrum + Its Gut Healing Benefits | Dr. Will Cole. [online] Dr. Will Cole. Available at: https://drwillcole.com/everything-need-know-colostrum-gut-healing-benefits/ [Accessed 28 Nov. 2018]. Us, A., Recipes, P., John, A., Club, W., Us, J., Us, A., Recipes, P., John, A., Club, W. and Us, J. (2018). Health Benefits of Mushrooms: Healing Powers of This Food Medicine. [online] Food Revolution Network. Available at: https://foodrevolution.org/blog/food-and-health/health-benefits-of-mushrooms/ [Accessed 28 Nov. 2018].